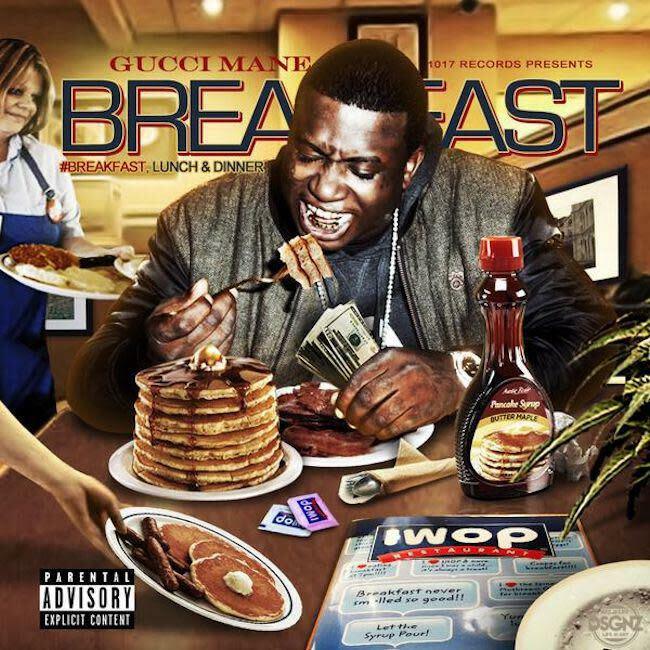 Few rappers in the history of hip-hop have had food factor more prominently in their music than Gucci Mane. 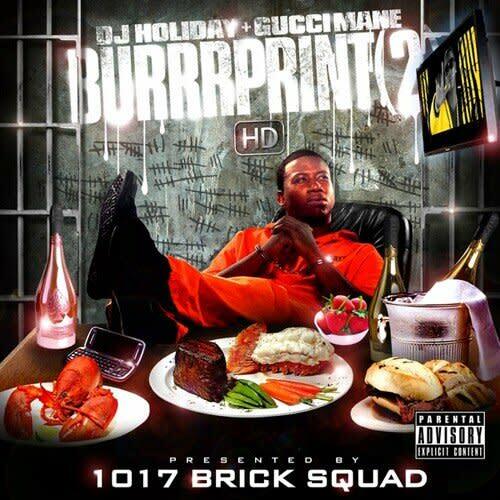 Even in the weeks following the Atlanta rapper's unexpected release from prison—where the 36-year-old MC had been serving two years on a federal firearms charge in Terre Haute​, Indiana—much of the conversation has revolved around the weight he lost while behind bars. The rapper switched to a no-carb diet, kicked a longstanding lean addiction, and discovered a newfound love for kale. 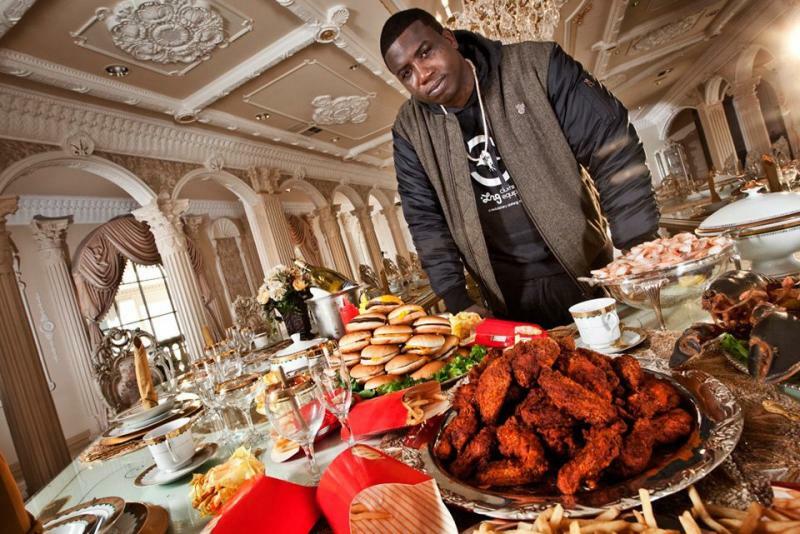 But even before rumors about an army of rail-thin Gucci clones started swirling around the web, food served as a powerful metaphor for Guwop. 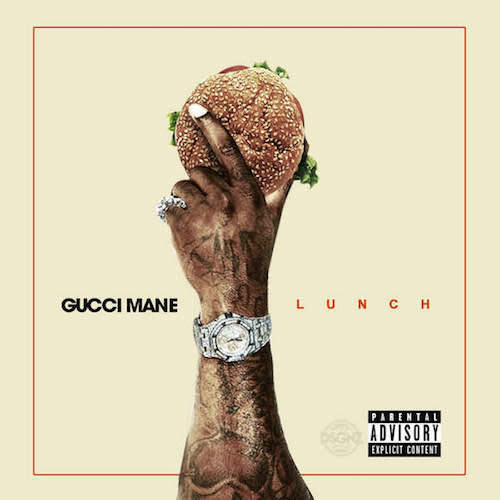 When the rapper is seen posing in front of a small mountain of hamburgers, or digging into a tall stack of "IWOP" pancakes, or even tattooing an image of an ice cream cone to his right cheek, it's a reminder of just how well Gucci is eating, that he'll always be the coldest in the game. 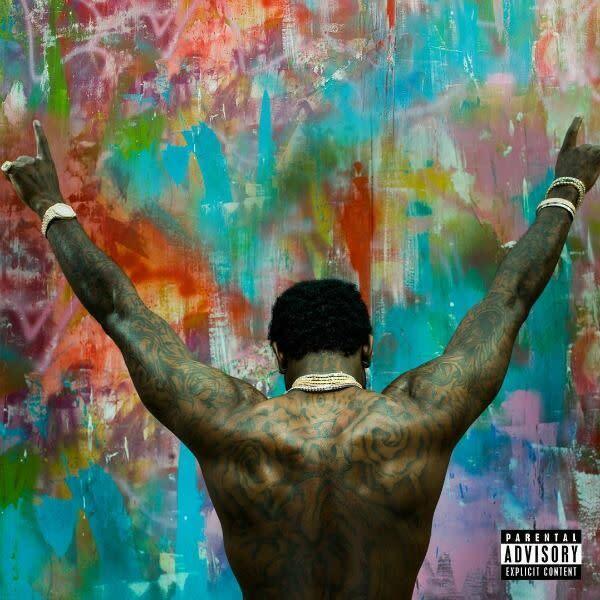 Today, as Guwop drops Everybody Looking—the first album since his release, featuring collaborators likes Kanye West, Drake, and Young Thug—the rapper sets out to prove that his new, leaner frame hasn't diminished his old appetite. 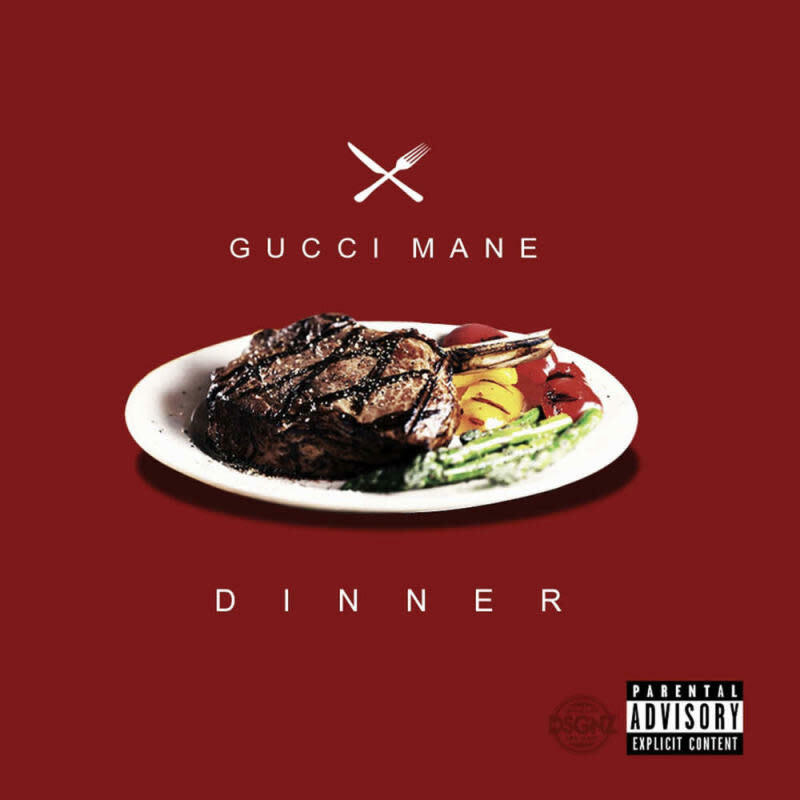 From his infamous Meal Ticket mixtape covers, to his sagely advice on the correct application of "sauce," we now present the Gucci Mane guide to eating. Though lunch is good, too. And you can't forget about dinner. Dessert is a dish best served cold. Don't get lost in the sauce. Don't let anyone stop you from eating. Try all different types of cuisine. Always mind your table manners. Can't decide what to get? 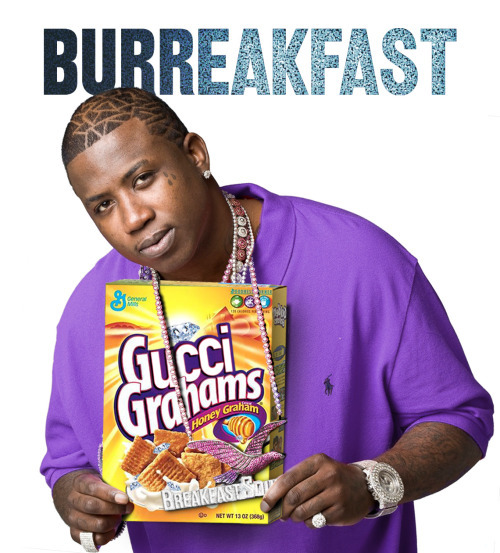 Order the whole menu. Never let the haters body shame you. Eggs and turkey bacon aren't just for DJ Khaled. Kale is for rap legends. Page Eggs and turkey bacon aren't just for DJ Khaled. Page Eat like everybody's looking.